Juanita Jackson and Clarence Mitchell moved to 1324 Druid Hill Avenue in 1942, the same year Clarence started working at the Fair Employment Practices Commission set up by President Roosevelt to fight workplace discrimination during WWII. Visitors at the home included Paul Robeson, Duke Ellington, and Marian Anderson. The couple raised five sons at the house and continued to live there until the end of their lives. Baltimore City stabilized the roof and rear wall of the building in 2013 but it remains vacant and in poor condition. 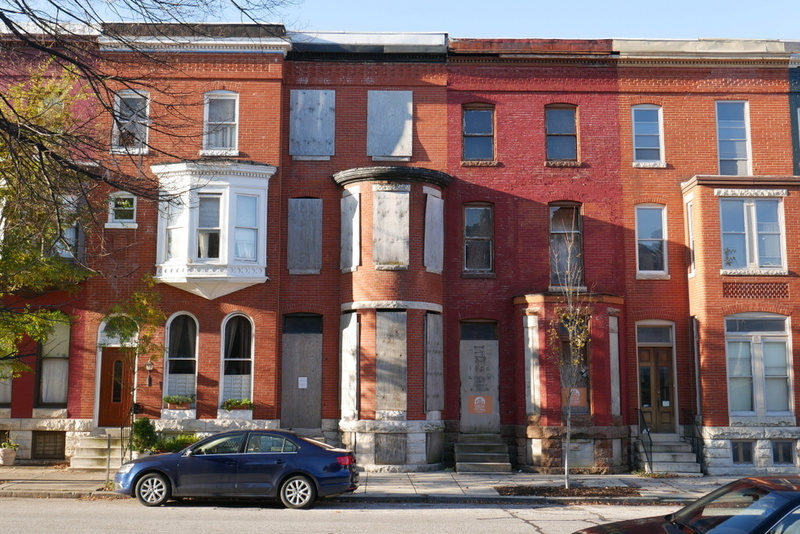 “Juanita Jackson and Clarence Mitchell, Jr. House,” Explore Baltimore Heritage, accessed April 23, 2019, https://explore.baltimoreheritage.org/items/show/527. Published on Nov 13, 2015. Last updated on Nov 27, 2018.